There’re over 55,812 WordPress plugins, that’s make it more complex for many people to identify the exact ones they need. Especially the newbies, they find it more difficult to handpick the right plugins they need to add to their websites. If you’re one of them, here are top 30 WordPress plugins that can help you to create any type of websites you desired. Before we can get started, let’s quickly discuss what is wordpress plugins and themes. Plugin is a software that you would add to your WordPress site to add more features and functionalities to your website. What made WordPress the most preferable CMS is their essential plugins. I would list my most favorite wordpress plugins that I’m using on my sites here in this article. Hey there! Are you ready to add more functions to your website? If YES then let’s begin……………. Yoast is a SEO plugin which would help your website to be found on search engines result pages. Yoast is far beyond that. It also help you on how to make your website users and search engines friendly. Yoast is a must have plugin for all website owners who aim to make the best out his/her website/blog(s). What make yoast the best WordPress plugin is that it has free version and paid version. The free version is good enough for beginners. This plugin allow you to add contact form to your contact us page, so that your customers/readers can contact you directly from your website without leaving your website. The good part of this is that, costumers/readers can contact you from your website without open email software or app on their devices. It is a good idea to Care about the security of your website. We care for our life, we also need to care for our business too. Word fence would help you by prevent your website from hackers, or any other illegal attempt to your site by other people. It’s a best security plugin that is highly recommended by many experts. It worthy adding to your site. And if you need more information about website security check this article. This is the best free product ever release by google. With this plugin you can track your visitors to know where they come from, the page the visited, in fact their general activities on your site. It also let you know how your campaign are performing. Whether your organic search, backlinks or social media marketing that’s leading visitors to your website, you would know. Mail chimp is an email marketing software plugin that would help you collect emails from your customers/readers and store them in their data base for you to use for marketing. By now I’m sure you know how powerful email marketing is or what it can do for your business. Mail chimp has free version and paid version. The free version allow you to build 2,000 email list for free. The other alternative to mailchimp is getrespond. Hey there!, i’m enjoying Hostgator the best and light hosting company out there. Why not trash that your bad host company today by getting your hostgator at $2.75 per month. If you want your website to load faster or perform well on any devices then you should install this plugin asap. With this plugin you can achieve your goals of building fast loading website. Autoptimize allow you to optimize images, google form, Java scripts and more. So that your website pages would load incredible fast. It’s easy to set up, give it a trial. This plugin will help you to embed beautiful and features Rich table into your posts and page without having to write a code. You can check this article to see how this plugin work. You will really see the beautiful of table press. This plugin is designed for wordpress.com users but is a very powerful plugin you can use for your self hosting wordpress website too. Publicize ( share your new post automatically to your social media platforms). Protect your website from hackers, spam filtering, and many more. Jetpack is my most favorite wordpress plugins and I’m currently using it in all my websites. My wp backup is the best to protect your data and website in the event of adverse server even, data corruption, hacking and more. 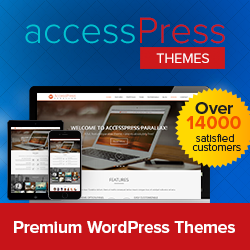 This plugin also rank among the best WordPress plugins because it really work amazing. I use it to back up this website you’re reading this content right now. This plugin automatically optimize any images on your website and make sure it still have good quality. It also enhance your website speed. Any website that load faster has SEO and human benefits. The plugin would help your website to be more browsers friendly and load incredible fast. it serve him/her directly from his/her browser not WordPress heavier php server anymore. That reduce the loading rate of your website on your readers second visit. Memberpress is an online community software that allows you to add membership features to wordpress website without writing a single code. You can can create subscriptions plan and capable of restrict contents for subscribers only. The plugin work with almost payment gateways,( PayPal, Google wallet, stripe, 2checkout etc). That make it the best wordpress membership plugin. W3 Total Cache help your website to load faster by serve compressed and cache file to your visitors. Google love loading faster website. The more google love your site, the more chance of ranking higher you stand. Ranking higher on google with high volume search keywords means more visitors and more visitors more sales. SumoMe is all in one online marketing tool which allow you to add push notifications, popup, social media sharing buttons and creating campaign. I’m using SumoMe one of my blog computer Admin. And i love this plugin so much because it help me a lot. “Table of content” allow you to add smart table of contents to your blog post and pages. You know how table of contents is relevant to non-fiction books, the same go to your blog post and pages. It make your site more helpful and flexible to your readers by allow them to navigate within your content. Share count is a social media plugin which allow you to add social media sharing buttons on your website/blog. Share count is a super wordpress plugins with incredible fast loading social media buttons, non-like it alternatives that would slow your website. As the name imply, that’s how it works. WhatsAppme allow you to add Whatsapp button to your website. By the right hand down side of this blog, you will see it. It allow me to easily connect with my readers all over the world. Which you can use in the post editor, text widgets or even create template files. With shortcode ultimate, you can easily create buttons, tabs, slides, boxes, responsive videos, and much more. Checkout this post and take a look at that call-to-action button there. SEO booster allow you to monitor your keywords from search engine. The keywords visitors type to find your website. It help you to know your active backlinks and ability to track 404 error. This plugin is very reach with so many features that can’t be mention here. It really a SEO booster, I’m currently using it on my making money online and business tips. If you like to add multiple ads to your blog this plugin got you covered. Assuming you want to place ads in your blog posts, pages, sidebar, header and footer, then you can’t skip this plugin. also allow you to manage scripts such as adding confirmation code to header and footer. Eg. google adsense code, google analytics code etc. Broken links checker is very important for website owners. It allow you to dictate broken links in your website and instruct you on how to fix the broken links. But i advice you to delete this plugin after use because it may slow your website speed. LearnDash allow you to create and sell online courses from your wordpress website. With this wordpress plugin, you don’t have to write code to build online courses. It has a drag and drop courses builder that allow you to easily add quizzes, lessons, assignments to build your online courses. It worthy install if you ought to sell online courses. Woocommerce allow you to add store to your wordpress website. It’s the best ecommerce WordPress plugins. The plugin is compatible with the most popular payment gateways. The good part of this plugin is that, it’s easy to use and set up. If you ought to sell physical products on your website then woocommerce got you covered. Rich snippets ( all in one schema) is special markup that you can add to your contents and it would describe your contents more accurate to search engines. It render your contents to search engines in a better way than your original contents. a3 Lazy load allow your website images to load when they are in view by your. Which means your images wouldn’t load until your readers scroll down to the image. It would enhance the speed of your website and make it load incredible fast. It really helpful but you need to updating as your business grow. The more the business grow, the more questions may popup. Popup builder allow you to create any kind of popup you desired to build. It ranging from social media to email collection and marketing. Do you like to increase your customers services and grow your business?. If YES, then you need to install this plugin to your wordpress website. I’m using this plugin personally on my computer admin. It’s a free plugin but relevant. Akismet anti-spam check your comments, contact form subscriptions. It prevents your website from spam and harms. If you don’t like people to leave a spamming comments on your site then askimet anti-spam is for you to grab. Askimet anti-spam is very essential plugin for all WordPress site owners. SEMrush SEO Writing Assistant provide you an instant recommendations to optimize your contents qualities to be more better than google top 10 ranking articles for your given keywords and location. But you have to register SEMrush account before you can start using this plugin. You can register your SEMrush account here. In case you may don’t know how SEMrush work, you can read full SEMrush review here. It’s not compulsion you should use all the plugins in this article, you have to pick the ones your business need. If anyone one of this wordpress plugins doesn’t meet your needs don’t worry WordPress has over 55,812 plugins. So you will definitely find alternatives of it. Which one of this wordpress plugins are you using on your website? What is your experience with them?. Don’t go yet, i have a high prolific content, 5 must have webmaster tools for those who intend to make 6 figure per month online, check it, it worthy reading. I love to hear your thoughts on this article and make sure you share it because you don’t know who you may help by sharing it. Thanks for passing by. They may start uncovering the mysteries worldwide and start loving their world outside them.